From Marsha M. Linehan—the developer of dialectical behavior therapy (DBT)—this comprehensive resource provides vital tools for implementing DBT skills training. The teaching notes and reproducible handouts and worksheets used for over two decades by hundreds of thousands of practitioners have been significantly revised and expanded to reflect important research and clinical advances. The book gives complete instructions for orienting individuals with a wide range of problems to DBT and teaching them mindfulness, interpersonal effectiveness, emotion regulation, and distress tolerance skills. Purchasers get access to a Web page where they can download and print all the handouts and worksheets discussed in a convenient 8½" x 11" size. Handouts and worksheets (now online-only) have been completely revised and dozens of new materials addedmore than 225 featured in all. Each module has been expanded with additional skills. Multiple alternative worksheets to tailor treatment to each client. More extensive teaching notes, with numerous clinical examples. Curricula for running skills training groups of different durations and with specific populations (such as adolescents and clients with substance use problems). 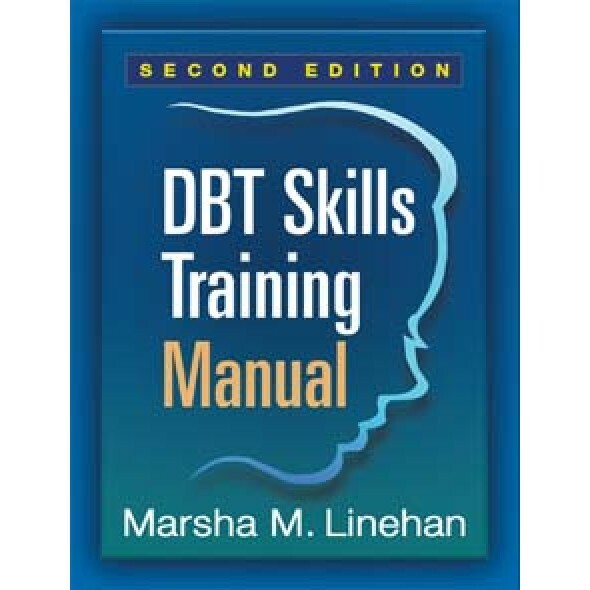 Available separately: Client Handouts and Worksheets for DBT Skills Training, Second Edition (9781572307810). Audience: Clinical psychologists, psychiatrists, clinical social workers, mental health counselors, and psychiatric nurses. Outstanding potential: seminal, bestselling work (over 300,000 in print) from Marsha Linehan, the developer of DBT—now completely revised and expanded. The first edition (1993) was a runaway success and is available in over a dozen languages; DBT's influence has grown and expanded and the author trains therapists worldwide. Together with the companion workbook for clients, sold separately, this volume replaces Skills Training Manual for Treating Borderline Personality Disorder (ISBN 9780898620344). Improvements are based on years of experience: includes additional detailed information on teaching the skills, many more clinical examples, and more than 225 online-only handouts and worksheets (many of which are optional, for tailoring treatment). Highly flexible: provides specific plans for teaching skills over varying amounts of time and with different populations, including adolescents, substance abusers, and more. Online supplement: all handouts and worksheets discussed in the book are available for purchasers to download and print. Complete package: the client workbook features all of the handouts and worksheets with accessible explanations of how to use them, plus its own online supplement for extra copies of the worksheets.